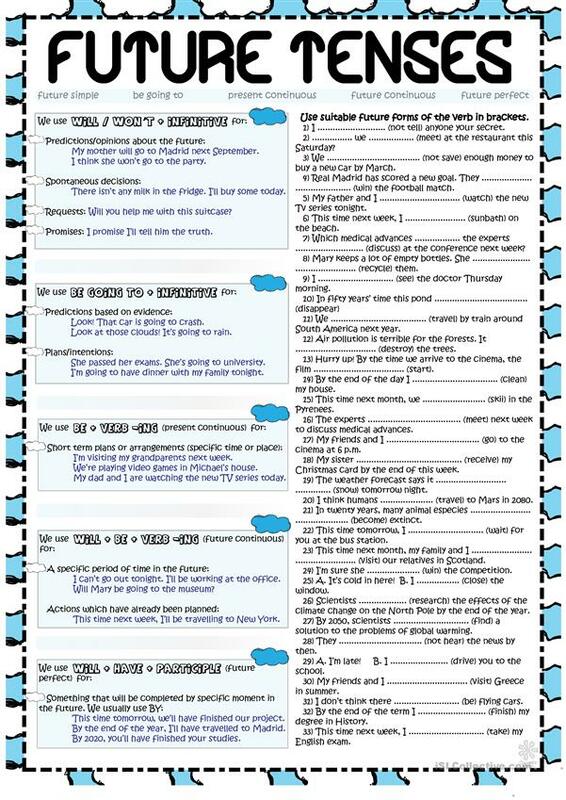 Future Tenses INTERMEDIATE - (B&W and Key included) This worksheet contains a brief explanation on future tenses with some examples: simple future, be going to, present continuous, future continuous and future perfect and a simple exercise to complete the sentences with the correct future of the verb in brackets. 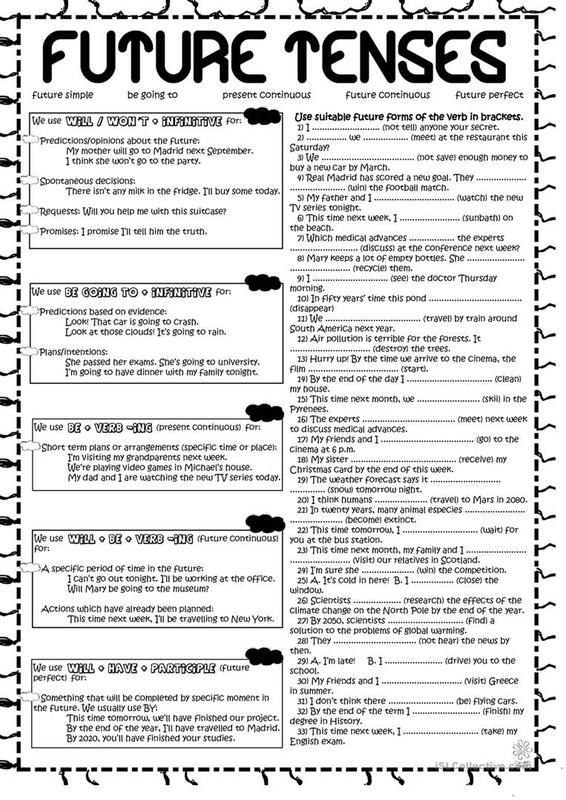 I hope you find this worksheet useful! Thanks. Cha. The above printable, downloadable handout is intended for high school students and adults at Pre-intermediate (A2), Intermediate (B1) and Upper-intermediate (B2) level. 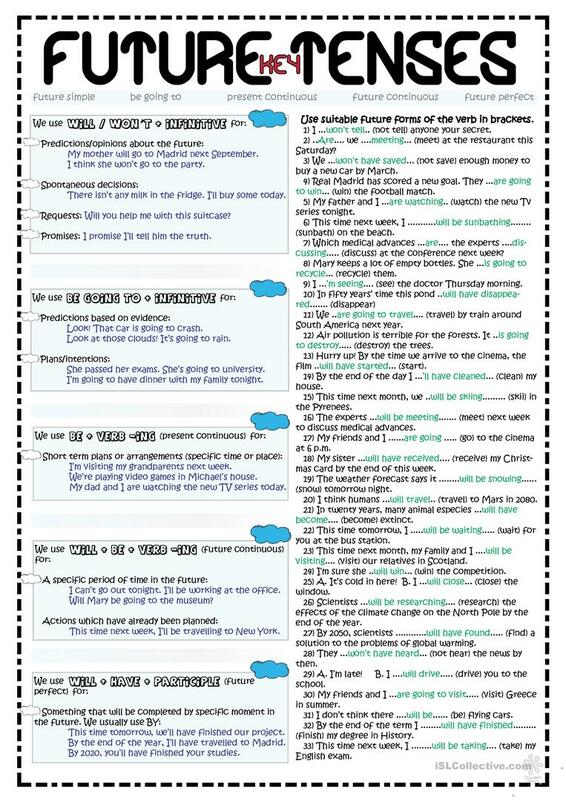 It is aimed at consolidating Future tenses in English. You will find the key at the end of the worksheet.